إذا كنت تبحث عن فندق بموقع جيد في أوكلاند، فقد وجدت ضالتك في YHA Auckland City . لا يبعد الفندق كثيراً عن مركز المدينة، فهو يقع على بعد منها. في حين يستغرق الطريق منها إلى المطار حوالي 45 دقيقة. يوفر الفندق بفضل موقعة الجيد وصولاً سهلاً إلى أهم معالم المدينة.
. يعمل YHA Auckland City على ضمان إقامة مريحة لضيوفه من خلال خدماته الممتازة وحسن ضيافته. يمكن للنزلاء الاستمتاع بالميزات التالية: واي فاي مجاني في جميع الغرف, أمن على مدار 24 ساعة, خدمة التنظيف يوميًا, خدمة غسيل ذاتية, خدمة حجز التذاكر أثناء إقامتهم في هذا المكان الرائع. في YHA Auckland City غرف نوم يزيد عددها عن 48 صممت بذوق وعناية لتوفر لك كل وسائل الراحة . بعضها يحتوي أضاً على سجاد, بياضات, مرآة, إغلاق, كاشف دخان. كما أن مجموعة الخدمات الواسعة الموجودة في الفندق لضمان راحتك تترك لك الكثير من الخيارات لقضاء وقتك أثناء فترة إقامتك. يحظى فندق YHA Auckland City بموقع ممتاز وخدمات يصعب منافستها. Pros: clean safe friendly convenience. I got a really fantastic experience there. Cons: no luggage keeping service. But the staff gave me some solutions. The hostel was really well kept and it was clear it had been recently renovated. It is definitely a relaxing hostel and there is no bar attached. The staff were really friendly. The location was the only let down as it felt a bit uneasy at night. 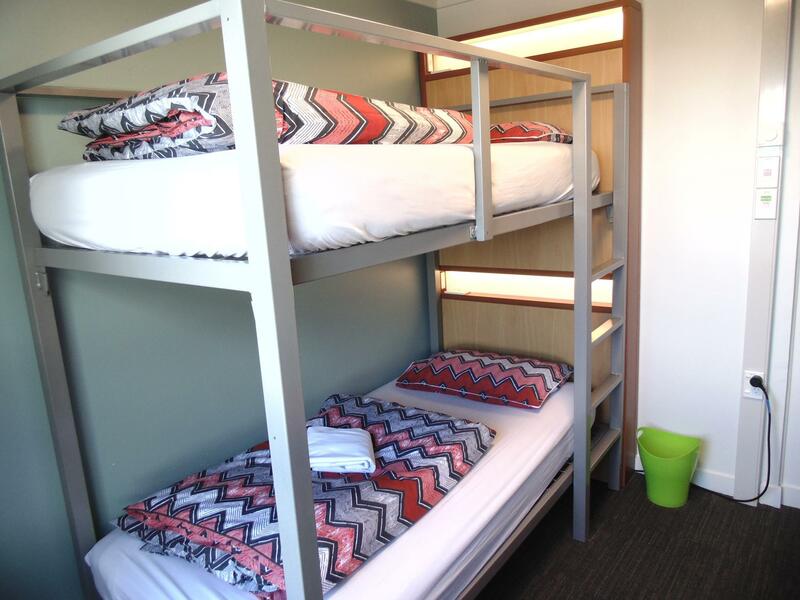 We stayed at YHA Auckland immediately following our 34 hour air travel from N. America. The hostel is conveniently located for the airport shuttle coach, for access to downtown, and for most of the sites a tourist will wish to visit. Our room was on the top floor, with a great view down to the harbor, was clean and had a comfortable bed. Kitchen facilities were well organized and well maintained. Staff were welcoming and helpful. This property offered us everything we needed, and we recommend it without qualification. The YHA is currently undergoing refurbishment and I could see they put in a lot of effort to it. The staff were great as I could do an early check-in and use the common areas until the standard 2 pm time. However on the day I was there the kitchen was not very clean during breakfast as there were a lot of people preparing breakfast and not many were cleaning up after themselves. I stayed in a twin room with a bunk bed and it was very clean. However it was a bit of a hassle going to the toilet because I need to bring the key card to access my room from the toilet. We stay in ensuite double room, the room is so new and clean! For the similar price at hotel, we might not able to get such a spacious room, and of cos not even the big n clean kitchen! Super highly recommended. There were many Asian restaurant near the hotel, it was very nice for me because I love it. Room was very clean and all staff were very friendly. I booked some tour by useing the hotel. I couldn't speak English perfectly but they helped me a lot. If this price was included Breakfast, it was perfect. 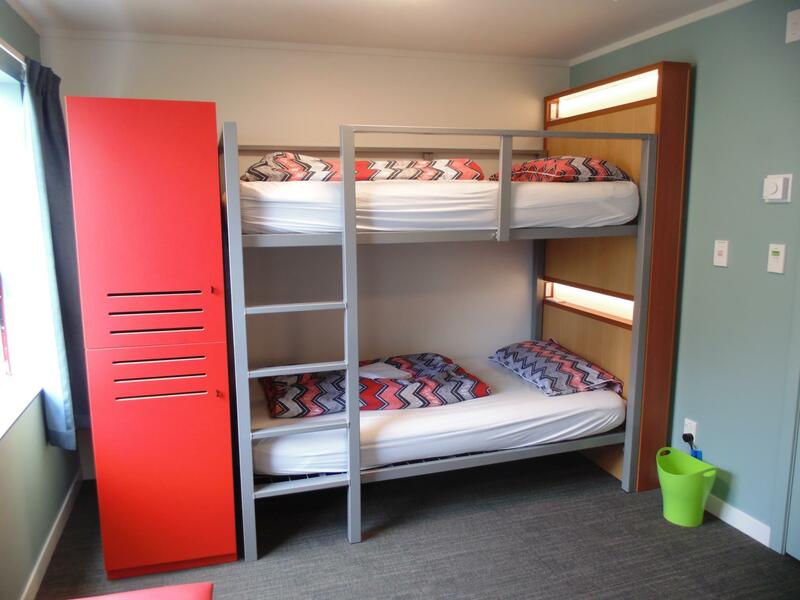 I check in 4 female dorm, is very spacious and clean, and holding some events on Monday and everyday have Mt. eden hiking, which is quite good. The quality of roomates are very high, they keep the silence room environment and clean kitchen, of course, hostel staff give lots of effort too! Normal. But have wifi problem. make sure to solve it. Worth the slight premium to stay here to get nicer amenities, large lockers in the room, nice areas to lounge outside of room, 2gb wifi per device per day and clean rooms. Only downside is only one toilet and one shower per floor. Very clean and comfortable. Walking distance to the main action area and just 100m away from the airport bus. You get the usual quality from YHA. The only potential downside is the lack of character, but that is specific to the big hostels I guess. I am so impressed with the newly renovated rooms! Love it that they have quad sharing ensuite and especially when everything is brand new and kept really clean too. Highly recommended! free wifi, mostly worked well, big locker in the room, each bed has a socket and light. good security. clean bathroom. Pros: Clean, nice chill out area, large kitchen, charging points on each bed and good location near many bars, restaurants and tourist attractions. The hostel doesn't allow long term stays so it avoids the grungy, rundown vibe that plagues many Auckland hostels. Cons: Quite expensive for a shared dorm. 2GB daily limit on WiFi (just make it unlimited!). There isn't really a social vibe here which makes it a great place to sleep and relax but if you're looking for a party I'd recommend staying elsewhere. 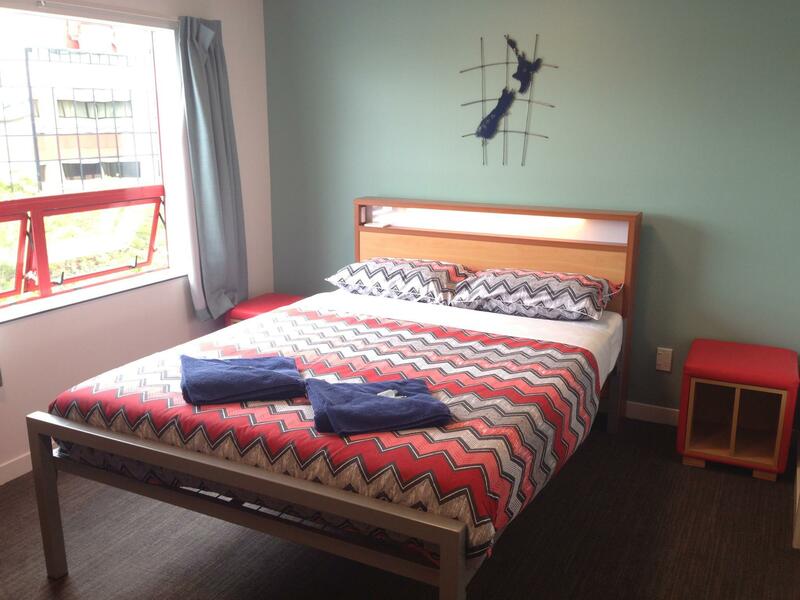 So I'll preface everything by saying this was my first experience with a hostel in New Zealand. I was glad to be trying out one of the chains and to support a local organization. The staff were friendly and helpful--they gave me a proof of address for no more than the cost of the printed page (30 cents), and let me print out a few documents as well. It's a big hostel -- like 7 or 8 floors -- with a TV room and reading room on the 3rd floor, and a huge, beautiful kitchen on the ground floor to accommodate their many guests. They've also got laundry (and iron) in the basement. Wifi was limited to 1 GB per device per day and seemed fast enough. My only (minor) issues were that it was pretty cold because guests would open the windows and let out the heat, and the water pressure up on the 7th floor was pretty bad. But overall, it was a comfortable stay. The place was really clean and tidy. Only a couple of things that were "annonying". First, if approaching from queen street, you would have to walk uphill on queen and then another steeper uphill to get to it. Second, rooms aren't soundproof. Everytime someone goes in or out of room or floor the bang is so loud it will wake you up. Overall, I was pleasantly surprised and will be staying again in the future if I am ever back in Auckland. A bit tough to get to the hostel as there is a really steep slope to go, but the hostel is clean and tidy, and just 10 mins walk to the city centre. No free wifi for non-yha member, helpful staff, and I am sure you can meet many people and make friends with other travllers. A nice place to stay for what it costs.